Quattro Ristorante, Grille & Pizzeria, is restaurateur Frank DePasquale’s forth restaurant in the North End, hence the name which means 4 in Italian. Quattro is also located on the 4 major corners of the North End, Boston’s Famous Italian Neighborhood. Inspired by Italy’s passion for high quality foods prepared with fresh ingredients, Quattro brings delicious foods from simple locally grown ingredients. Frank DePasquale does something few restaurateurs have every tried, melding a full service restaurant that serves wine, beer and cordials with a kitchen equipped with a rotisserie, a char broiler and an authentic Neapolitan brick style pizza oven. Quality has been the only focus and the essential ingredient at Quattro, from the ingredients to the preparation of the food to the service. Quattro’s unique menu appeals to a wide variety of people by touching on all categories, fresh meats, seafood, pork and poultry prepared right in front of your eyes on our custom built rotisserie. Overall, a really good experience. The small size made for a cozy, intimate feel. It was a little on the noisy side because it was so small. But otherwise, great. The food was really good and the service was very good as well. Great pizza and pasta, great service! Pizza was meh. Sauce was watery and not very flavorful. Best pizza in Boston. Authentic Italian style pizza. The food was just so-so. Much better restaurants around the area. Had the arancini and gnocci .. food was good, but definitely not what you'd expect given the very high ratings on OT. I was expecting excellent if not spectacular. The service, however, was really good. We dined at Quattro before a show at the Toyota Center. Enjoyable and I am glad the restaurant is close to the venue, however, I probably wouldn’t go there for dinner unless I was going to see a show downtown. 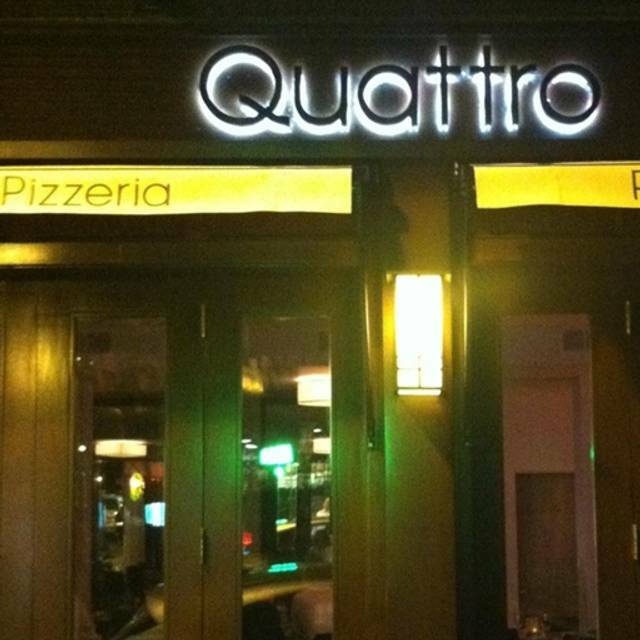 Quattro is a definite must if you're visiting the North End of Boston. The atmosphere is modern, hip and energetic. Michael was our waiter and was excellent. Each of us had a different dish and all were excellent. The chicken soup and the meatball appetizer were of equal quality. Quattro will definitely see us again. We always love going to Quattro! 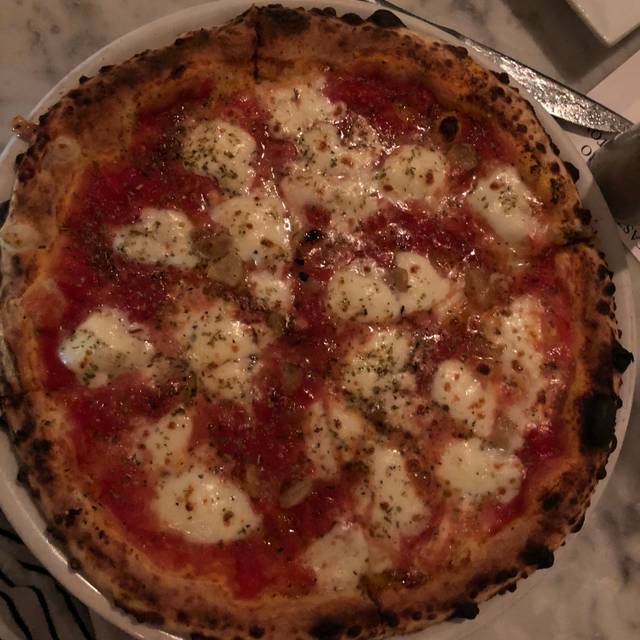 The pizza is outstanding and so it the ricotta pie! Have the steak tips. I came for pizza and was encouraged to try these by the (wonderfully friendly) server. My family had the pizza: they loved it. 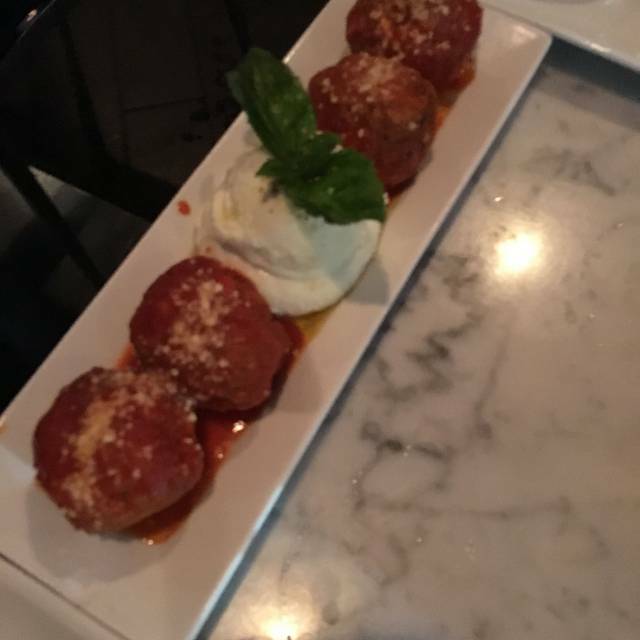 I was entertaining some work friends from out of state and Quattro was a great place to go for a casual dinner that highlighted the charm of the north end. Everything was perfect and we enjoyed a great evening. Absolutely one of the best restaurants in Boston! Fresh, authentic, Delicious!! We thoroughly enjoyed the experience and highly recommend. Also recommend reservations as it is not a large restaurant, and you want to be sure to get a seat! Excellent food and service. 0ur server was excellent. Food came.out quickly. We thoroughly enjoyed our meals. It was good seated us very quick food was great service was perfect. A little tight but it’s The north end and it was Valentine’s Day what can I say. Absolutely love Quattro. It is our go-to place for a relaxing dinner. 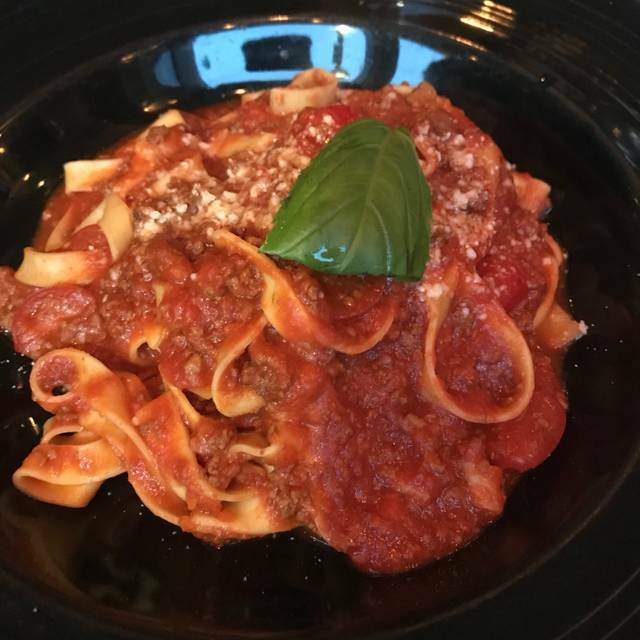 Not your typical Americanized pasta place with a great variety of grilled over an open flame carni (sausage, lamb, chicken, beef); fresh salads and wonderful pizza cooked in a straight-from-Italy ceramic oven! 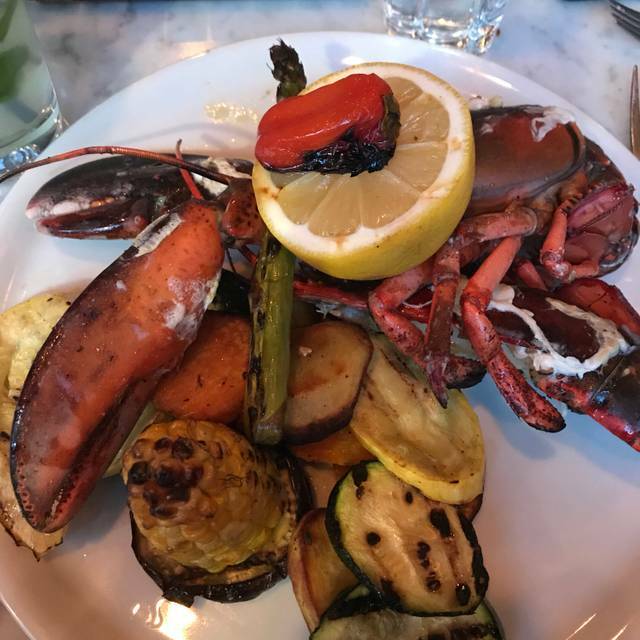 Try the grilled lamb skewer, absolutely best lamb I have ever had, when it's on the menu get the lobster ravioli, and the meatballs are delicious! The chicken parm is really quite good as well. The wait-staff and bartenders are always friendly, allow you to enjoy the evening without rushing to get you in & out, and have good suggestions. Top-notch all around! P.S. : When there's seating available at the bar & kitchen, we really enjoy sitting there versus in the dining room area. This place is amazing!! Best italian pizza I have ever had in the U.S. Not to talk about the workers. I went there by myself and ended up staying the entire night talking in italian with them (Carmela, i sette nani, la zia e la morte). Will for sure go back next time in Boston! Grazie ragazzi, felt like at home!! Good OK based on price. Loud. 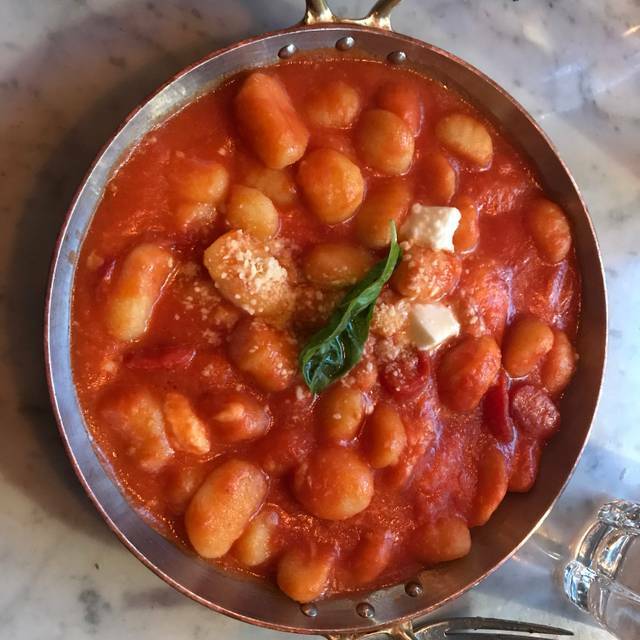 Great spot my 3rd time service is friendly and attentive food is good they usually have a good Risotto special decent wine list not too expensive highly recommend! We had high expectations for this place based on the reviews. I was disappointed, the food was mediocre, service wasn’t very friendly. On the plus side, nice decor and ambiance. I’ve been here before for dinner and knew I was going to have another great meal. They sat us far from the door without request because it was cold out that evening. Food was great as usual, can’t wait to come back! I loved this restaurant - their fig, arugula, and goat cheese pizza is exceptional! The food was very good, restaurant was uncomfortably tight with more tables than it should have. Service was so-so. There are many other places to choose from in the N End; this was just okay considering the competition. The service was very good, the food horrible. All four us didn’t finish our food due to poor taste, no flavor, bad presentation, Etc. Then to top it off, sick three hours later! We’ve eaten the North End many times and this is the first BAD meal we’ve had. We won’t be going back! Great food. We were early for reservation so sat at bar to wait. They still had Sam Adams Octoberfest on tap but it was flat. That was the only disappointment. Table was ready when our dining partners arrived. Service was spot on. Sound level was moderate and that was with a full restaurant when we left. Pizza was delicious, Service was fantastic and Pieroni on tap! Warm & cozy with the large oven roaring away! Perfect spot to warm up and refuel while visiting the North End! We loved this restaurant! The only thing negative is their doorway. It was cold and patrons were coming in looking for a host and leaving the door open. This was continuous throughout our meal, we had to put our coat on because of the cold. Always great food in a. Asialie setting. We eat here every time we visit Boston. One of our go- to places when in Boston. Mike the manager is great. Second time here. This time after a Celtics game. The meal was great again. I had the Bolognese which was excellent and my wife had the shrimp and scallops from the rotisserie. Service was very attentive and personable. Will definitely be back. More pizzeria than restaurant - waited 30 mins after my reservation time. Otherwise standard strip mall pizzeria menu and food quality. We enjoyed our of our meals , the food is fabulous so tasty and the waiter was great. Food and service excellent. Understand relatively small place, tables close together. The place is very nice on the inside, with a great marble bar and open fire oven/rotisserie. The environment is great and very comfortable. The food is ok. Nice fresh cheese and herbs, but the lamb skewer wasn't seasoned and was overcooked unfortunately. The cocktails were not great - really tasted like mixer instead of spirits. This place is also quite expensive for unremarkable food/drinks - two plates and a few cocktails was already $100+. Overall a decent place but not somewhere I'll be looking to go back to.